4x4, Premium Sound System, Aluminum Wheels. QUICK ORDER PACKAGE 24J RUBICON HARD ROCK Engine: 3.6L V6 24V VVT, Transmission: 5-Speed Automatic (W5A580), Rubicon Hard Rock Package, Silver Interior Accents, Red Front & Rear Tow Hooks, Low Gloss Black Wrangler Decal, Red Trail Rated Badge, Steel Rear Bumper, Chrome/Leather Wrapped Shift Knob, Premium EVIC Message Center, Black/Chrome Screws Fuel Filler Door, Steel Front Bumper, MOPAR Rock Rails (DISC), Hood w/Power Dome, MOPAR Dealer Installed Tow Strap Kit, Rubicon Hood Decal, BODY COLOR 3-PIECE HARD TOP If ordering without AEM (Dual Top Group), the black soft top will not be included, RADIO: UCONNECT 730N CD/DVD/MP3/HDD/NAV SIRIUSXM Travel Link, Uconnect Voice Command w/Bluetooth, Remote USB Port, Integrated Voice Command w/Bluetooth, 40GB Hard Drive w/20GB Available, SIRIUSXM Traffic, TRANSMISSION: 5-SPEED AUTOMATIC (W5A580) 3.73 Rear Axle Ratio, Hill Descent Control, Tip Start, REMOTE START SYSTEM, MAX TOW PACKAGE Class II Receiver Hitch, Trailer Tow w/4-Pin Connector Wiring, SUPPLEMENTAL FRONT SEAT SIDE AIR BAGS, AIR CONDITIONING W/AUTO TEMP CONTROL Air Filtering, Humidity Sensor, ENGINE: 3.6L V6 24V VVT (STD). 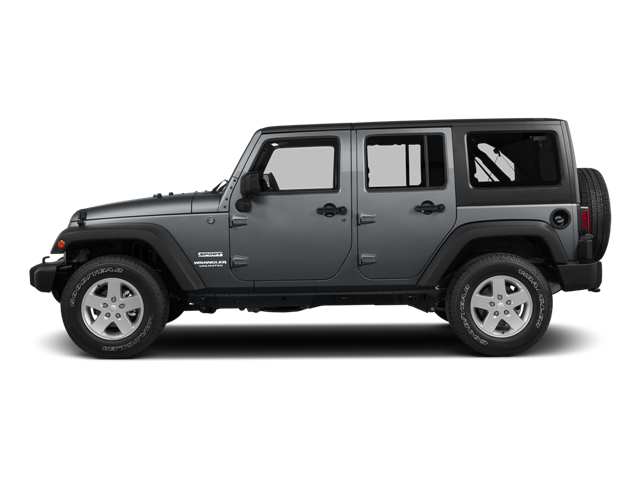 Hello, I would like more information about the 2015 Jeep Wrangler Unlimited, stock# P1255. Hello, I would like to see more pictures of the 2015 Jeep Wrangler Unlimited, stock# P1255.